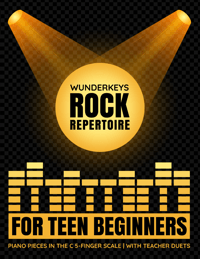 Are you thinking forward to fall piano lessons? Are you wondering how to streamline and improve certain aspects of your piano teaching studio? This is the time of year when you have the opportunity to tweak what needs tweaking before the hustle and bustle of another teaching year takes over. It’s a time of new ideas, new goals… and back to school shopping! Today I’m sharing The Ultimate Piano Teacher Shopping List: 13 things I use over and over, year after year. I also want to know – what would YOU add to my list? Help me make this an incredible resource for teachers who are looking to simplify, streamline and improve. Share your own shopping list at the end of the post! In no particular order, here are 13 items I couldn’t teach without. Please Note: This is NOT an affiliate post. We do not receive any kickbacks on these lovely and useful items. We’ve included links to the products simply to help you visualize what they look like. Shop around and find the best items that work for you! Two-pocket folders: I use these folders in so many ways… but mainly to organize my piano teaching games. They keep my materials organized and looking professional… and they are like eye-candy for my students. Tape the game cover to the front of the folder, place the directions and game board in each pocket along with a ziploc baggie of game cards and game pieces. I buy my folders in bulk from Amazon. Japanese Erasers: Not only are these erasers cute, but they ramp up “spur of the moment”, hands-on teaching to epic levels. 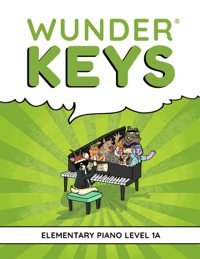 Naming keys on the piano is fine… placing adorable hedgehogs on “all the D’s” is incredibly fun! Find them on Amazon… and buy a ton. The applications for these erasers are endless. Stickers:. An obvious item, yes, but also a surprisingly awesome teaching tool! I search for stickers that are easily incorporated into teaching situations (speech bubbles, sets of mini-stickers, arrows or pointing characters etc.) Find out how I use stickers as a teaching tool here. A Laminator: If you feel like you’re drowning in teaching materials, a laminator can be your life-saving ring. For about $20 you can turn your loose pages into long-lasting bits of beauty. Employing laminated activities with a dry erase marker means you only need to print one copy of each resource. Consider also laminating studio policy sheets to leave in your waiting area (and parents may actually read them!) and certificates and awards to give to your students. Just imagine the possibilities! A laminator pays for itself in saved printing and photocopying costs in just a few months. A Hanging Wall File Organizer: If you plan your week out in advance (which I highly recommend doing) these hanging file folders are a helpful sidekick to your superhero planning skills. As you decide on your weekly activities, simply pop your sheets/music/games etc. into each pocket and then, when the time is right, simply stroll over to your uber-organized system and select the activities you need!! A Hanging Wall File Organizer looks like this. Foam Dice: We all have dice… but do you have large, foam dice? These are an absolute must. 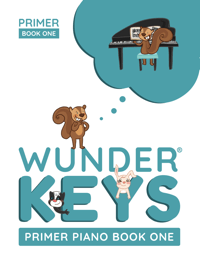 Not only do they eliminate scrambling around looking under tables and chairs for runaway dice, but their soft exterior and large size also allows them to be used at the piano. Mundane teaching moments can be made exciting with a simple die. Find them at the Dollar Tree. A Desk Caddy: I have spent way too many years rustling around for a pencil, pen, post-it note etc. while my students wait patiently. But with my handy desk caddy, this is a distant memory. Set this genius invention beside your piano and you’ll have exactly what you need at every moment (and when you’re teaching wiggly little ones, every moment counts!) I use this one. Divider Sticky Notes. As the “Queen of Post-Its” I was somewhat aghast that I didn’t know these existed until last year. Not only do they provide plentiful space for notes to be made, but they also work as a, “Hey! Practice this!” reminder if you stick it to your your students’ current piece. 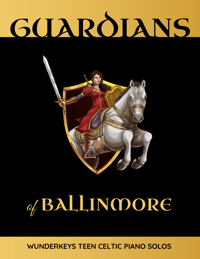 Find them on Amazon. A Table Top Pocket Chart: If you use a visual calendar for your young piano students (helpful in aiding fidgety or easily-distracted students) then you’ll love this pocket chart. Simply place cards representing various lesson activities to be covered into each pocket and place the chart on top of the piano for easy access and visual ease. It looks like this. If you need a free Visual Calendar printable, we have one for you! Click here and scroll down to Level 1. Answer Buzzers: A long (long!) time ago we mentioned how I used an “Easy Button” in lessons. Once a student had mastered a particular skill or completed a time of intense concentration, they got to “hit the easy button”. These days, however, I use up to four easy buttons (answer buzzers) to take fun to a whole new level. To begin I use a dry erase marker or a label to attach a musical meaning to my four answer buzzers (for example, a rhythm, a note name etc.). Then I place all four in front on my students who get to “answer” my questions by hitting the appropriate button. So many uses, so much fun. Find them here. Small, Child-Size Table and Chairs: These are a splurge… but you can often find these at garage sales or thrift stores. Add a simple coat of chalkboard paint to a table and you have the most useful space for off-bench activities. I love how a small table and chair set allows me to be “at the same level” as my students without sitting on the floor! While you’re happily prepping for fall (don’t new office supplies put you in a great mood?!) you’ll want to be sure that your teaching materials match your professional, organized and exciting studio space! Spice up your ear training and theory teaching with a subscription to PianoGameClub.com (4 new games every month for just $8!) 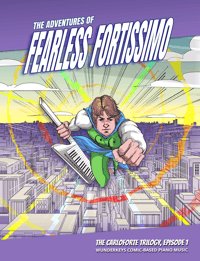 and add some colorfull, motivating fun to your supplementary repertoire choices with a subscription to PianoBookClub.com (a new book of music every month for $8). And now we want to know! What would you add to this list? What’s always in your studio shopping cart for your studio? 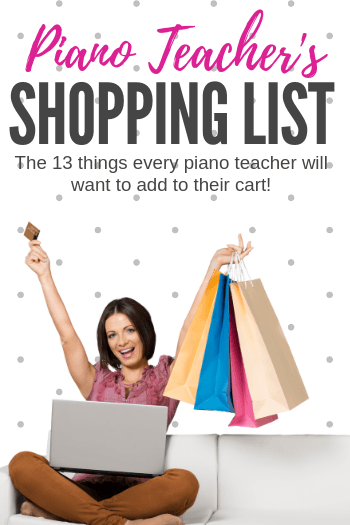 Share below and turn this into The Ultimate Piano Teacher Shopping List! 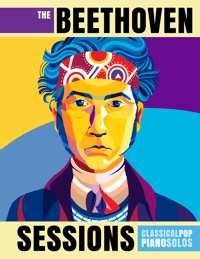 Will Composers Be Coming To Your Piano Studio This Year? 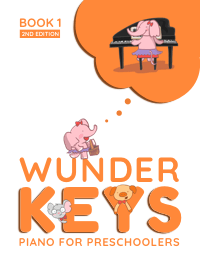 Are Your Elementary-Level Piano Students Locked Into Position-Based Playing?